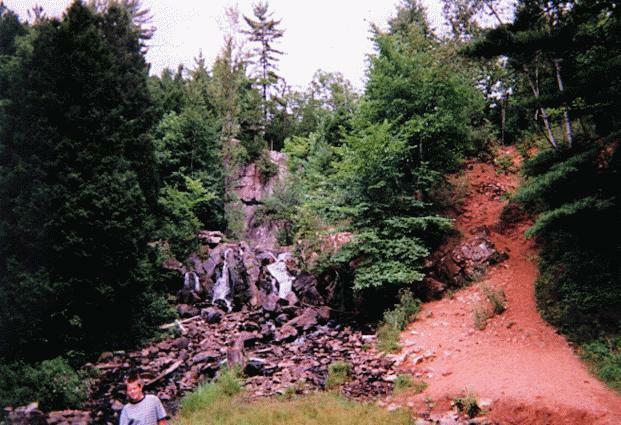 The Michigan Waterfall book indicated there was a 25 foot drop, then 2 streams form which glide over the rocks. 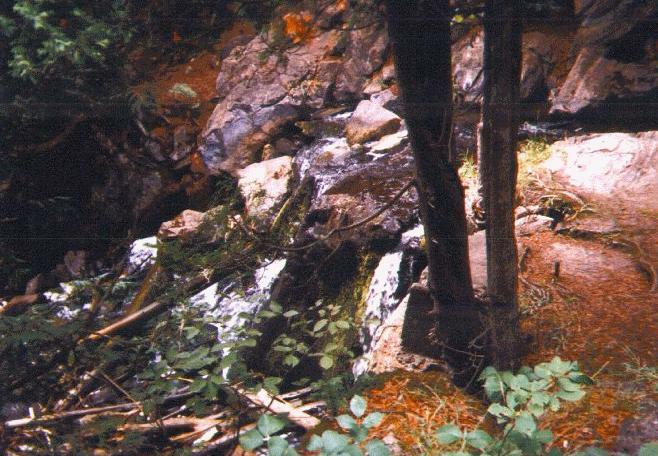 I saw just the lower portion - there was no water falling over the upper portion of the rocks. 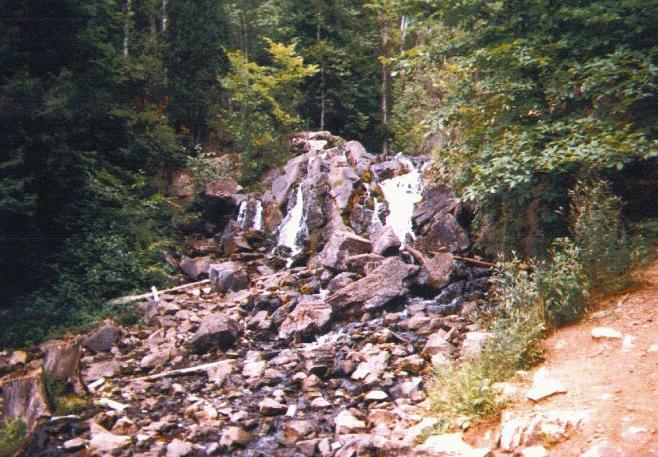 Fumee Falls is at the Helen Z. Lien Roadside Park, about 4 miles west of Norway on US-2. 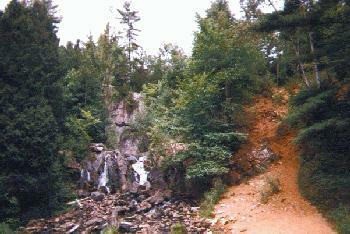 From the parking lot at the roadside park there is a path across a footbridge with a view of the falls. The photo above was taken from the footbridge. then I walked closer to the falls for the first photo below. Finally, I walked up a trail you can see to the right side of the falls and found the smaller falls in the other photo below. I hope you enjoy my Waterfall Page page and learn something of interest to you. If you have any comments, please send them to my address below. Page last updated 27 Dec 2000.